Dirt art practitioner JC Vargas takes the Nissan Navara back on the exhibit road, this time at The Block, SM North Edsa. 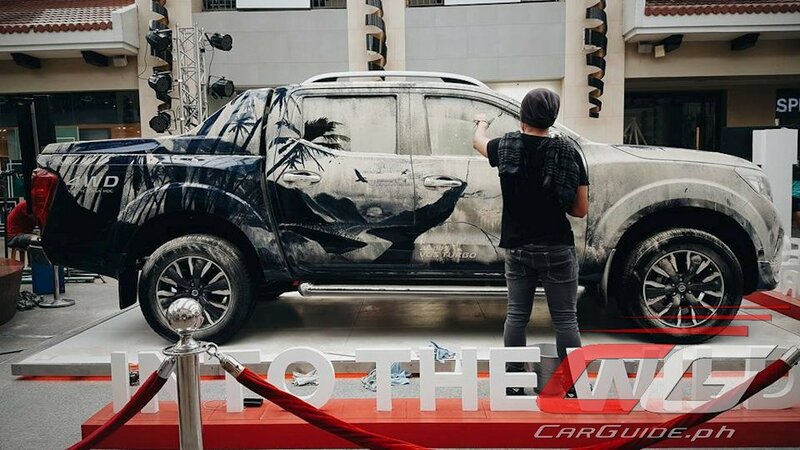 Starting today to December 21, mall goers and shoppers can see Vargas’ one-of-a-kind artwork done on the surface of the Nissan Navara pickup, using Fuller’s earth to simulate mud. They can also have their pictures taken with the vehicle, or if they’re lucky, together with the artist himself. “I wanted to show just how well the Nissan Navara can tackle both worlds: the city streets, and the rough countryside roads alike,” Vargas explained. 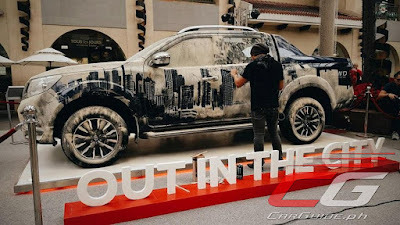 “It can be used anywhere, whether off-road or in the urban setting.” As a pickup that is built for both worlds, the Nissan Navara is equally at home in the city and the countryside, which is reflected in Vargas’ artistic approach.